Many taxi cab companies are discovering the use of taxi fleet management not only reduces costs and improves taxi management, it makes their customers even happier. Fleet managers get a better insight into their drivers’ behavior while they are on the road allowing them to better manage their fleet. Improved routing and dispatching improves efficiency and GPS taxi cab location information solves customer disputes ultimately improving the service they provide to their customers. When Bell City Cabs implemented GoFleet’s taxi fleet management system, they reduced fuel costs, saved on vehicle maintenance and improved customer service within the first month. The taxi management software is used to keep their customers happy and increases their repeat business. 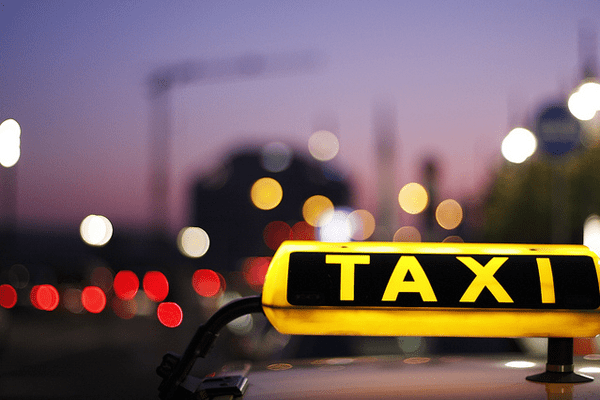 With taxi fleet management, fleet managers can improve their drivers’ behavior. Customized reports and alerts can be set up to inform managers when their drivers speed, drive aggressively, drive out of the authorized area, and idle excessively. It is important for taxi cab companies to monitor their drivers because they need to ensure their customers are having a safe ride to their destination. Customers appreciate knowing when they call your company they will feel safe during their travel. Taxi dispatch system provides more efficient routing and dispatching. Taxi cab companies can provide their customers with an accurate estimated time of arrival. In addition, dispatchers can send the closest taxi to the customer. This improved routing and dispatching makes customers happy because they will not be stuck waiting for the taxi cab for a long time. Once they call your taxi cab company, they can rest easy knowing the taxi cab will be there to pick them up shortly. GPS taxi location information from taxi fleet management allows fleet managers to quickly resolve any customer disputes. If a customer calls in with a compliant that they were charged too much, the fleet manager can easily determine the length and time of the trip. Using this information, they can determine if the customer was in fact overcharged. The taxi fleet management system can also be used to resolve customer disputes regarding routing, arrival times, pick up and drop off locations. Having a reliable taxi cab history available at the fleet manager’s fingertips will make customers happy because disputes can be resolved quickly. Taxi cab companies are finding the best way to grow their business is to utilize a taxi fleet management system to make their customers happy. Improving your driver’s behaviors, efficient routing and dispatching and quick customer dispute resolutions will keep your customers happy and increase your repeat business. Also, new customers will be attracted to your taxi cab company when they hear about the great service you provide. For more information about how GoFleet’s taxi fleet management can make your customer’s happy, Contact Us.